For the cannabis curious, it can be overwhelming trying to decide how to partake of marijuana. Edibles are one choice. 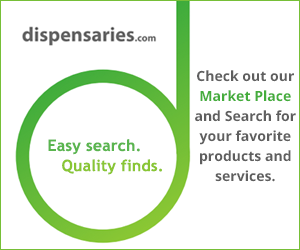 So are CBD products, oils and tinctures. And, of course, one of the biggest debates revolves around vaping vs smoking. Both have their advantages and disadvantages. But also provide an excellent way to experience cannabis for the first time (or the 1,000th). Deciding which path to take requires taking a closer look at the pros and cons. Here are a few such topics in the vaping vs. smoking debate. The traditional method of rolling a joint with marijuana and then smoking it has been around for a long, long time. Many still feel it is the way to go. Here are some of the reasons why. For many people, the traditional method is how they have enjoyed cannabis since the first time they tried it. They know how to control the intensity and length of the buzz. They also are simply more comfortable doing it that way because that’s how they have always done it. Comfort, when it comes to cannabis, goes a long way. Buying some rolling papers is a lot smaller financial investment than buying a vape pen. While the cost of vaporizers has settled around a reasonable amount for a solid-if-not-fancy model, it also requires a financial commitment many are not ready to make. Most of the complaints revolving around vaping concern having to grind the marijuana flower into a fine powder (in most cases), waiting for the vape to heat up and cleaning it after you are finished. With a joint, on the other hand, it’s easy to roll (once you get the hang of it). It also can be snubbed out in any convenient place and you are done. There are many different advantages to vaping, according to those who use that method for enjoying marijuana. They include the following. Clearly, if you have an allergy to smoke, you don’t want your face in a cloud of it. Those who find being around smoke from a joint intolerable have a viable alternative with vaping (and edibles, too, of course). Anyone who has smoked much marijuana knows that at times it can feel a bit “harsh” in the lungs. Generally, vaping provides a smoother inhale and overall experience. Many also believe this is a health benefit, with less impact on the respiratory system. This is a subject of great debate. However, many report that using a vaporizer rather than smoking marijuana leads a milder high. Users are quick to add that you can get the high feeling by vaping enough, but that it’s also possible to better control the buzz. When it comes to vaping vs smoking, there really is no wrong choice. It depends on personal preference. Certainly, it’s worth trying it both ways in a comfortable environment and see what works best for you. ← Weed Has Pesticides On It?